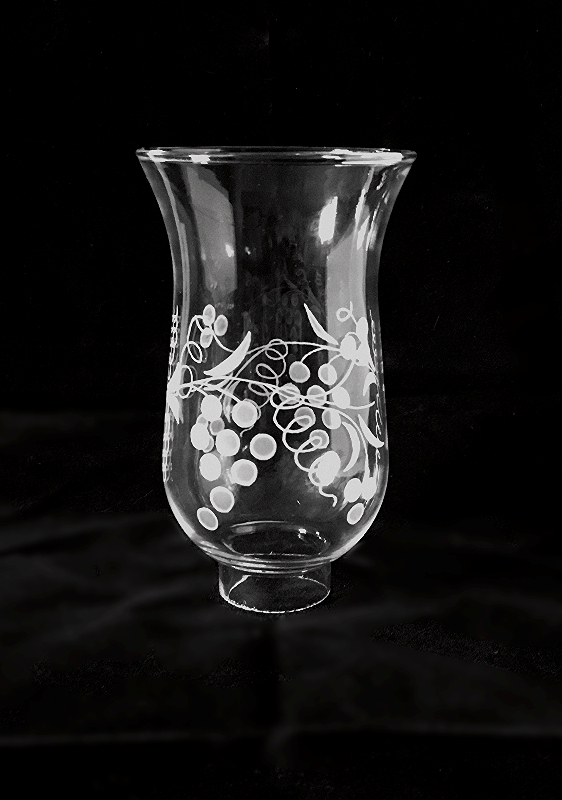 Lovely vintage hurricane globe featuring hand etched wine grapes and vines. It weighs in at a sturdy 8 ounces and is 5 and 3/4 inches high from top to shoulder. The total height is is just under 6 and 1/2 inches and the base measures approximately 1 and 5/8 inches in diameter. This is a gorgeous piece of artisan craftsmanship.